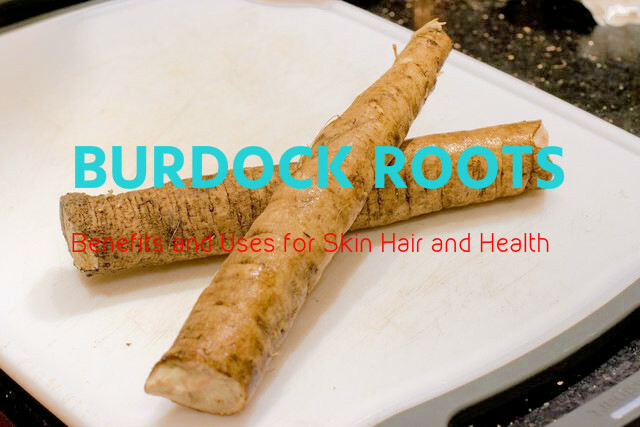 Burdock roots are packed with various nutrients and healing properties. It has the power to detoxify your body as well as cleanse and rejuvenate your body. It is widely used in various cuisines. Some use it to prepare tea while others, as the Japanese, use them as stir-fry to get all its nutrients. It has a sweet and pungent flavor and has antioxidant properties as well as healing powers. It is also great for those on a low calorie diet as it is rich in fiber and nutrients and low in calorie. Burdock has antibacterial, antiseptic and anti-inflammatory properties, which make it great for treating various skin problems including eczema and psoriasis. It is also very beneficial for curing dry skin conditions and other issues related to it like dermatitis. It is also one of the effective home remedies for acne and skin ulcers. Burdock roots are very beneficial for treating oily skin. So, it is widely used for the treatment of dandruff. It is also good for conditioning your scalp and increasing the growth of hair, as well as for preventing flaky scalp. So, you can say that it offers you permanent relief from various scalp problems. These rots are excellent natural detoxifying and purifying agents and are rich sources of non-starch polysaccharides, including mucilage and insulin. All these ingredients help in digestion and removing toxins from the body. They are also mild laxatives and help in easing constipation. Including these roots in your diet can help in treating acidity and acid reflux problems. They also help in improving your appetite. Burdock roots are high in potassium but low in sodium. This makes these roots good for your health. It helps in keeping the blood pressure levels within normal range and cholesterol under control. As a result, lots of health issues are prevented. You can stimulate and tone your renal system by including two cups of burdock tea in your daily diet. This is because they are excellent detoxifiers. This ensures that all toxins and unwanted chemicals are flushed out from the kidney. As a result, your renal system is kept clean and no disorders of the kidney, like kidney stones and renal failure, take place. It also has diuretic properties. Burdock roots are great for helping you lose weight effectively because of its diaphoretic activities and its detoxifying properties. It is also low in calories, which makes it an excellent option for those on weight loss regime. These roots are great for improving your immune system. The anti-bacterial property of these roots is good for preventing any infection from appearing again. It is important that you keep the blood sugar levels within normal range. Otherwise it may give rise to various other health problems. If you are suffering from high blood sugar levels, a remedy for it is to include burdock in your diet. This can control the blood sugar levels and prevent further problems. It is also good for diabetic patients as it is low in calories and glycemic index. According to studies made on these roots, they have great anti-cancerous properties and are good for healing various types of cancers. They can thwart metastasis and prevent cancer from occurring again. This is made possible because of the combined functioning of anti-inflammatory, anti-oxidative and detoxifying activities of burdock roots. Being rich in phytochemicals and polyacetylenes, burdock roots are excellent anti-bacterial and anti-fungal agents. So, it is used as a natural remedy for ringworms and other fungal infections, including the infections of the urinary tract. These roots are an important ingredient in traditional medicines are great for treating cold, cough, throat pain, sore throat and fever. It has anti-pyretic, expectorant, decongestant and anti-inflammatory properties, and these along with its anti-bacterial and anti-microbial functions, help in giving you relief from these health conditions. The diaphoretic property of these roots induces perspiration, which helps in lowering the temperature of the body and bringing down fever. Burdocks are one of the most powerful natural blood purifiers ever known to an. It helps in removing all toxins and free radicals from the blood and purifies the blood. It reduces the stickiness of the platelets. It is also beneficial for lowering the levels of bad cholesterol in the blood and increasing the levels of good cholesterols. The lipids also are also purified with regular use of these roots. So, by including burdock roots in your regular diet, you can protect your body from various cardiovascular conditions. Studies made have shown that these roots are good for increasing the circulation of blood and lowering various inflammations of the body. So, it is an important ingredient in many of the traditional medicines used for the treatment of rheumatism, which is an inflammatory condition of the body. This root is a good remedy for various disorders of the liver. This is considered as one of the best benefits of these roots. They help in increasing the synthesis as well as release of bile, which makes sure that the liver is free from chemicals and toxins. Along with its detoxifying properties, these roots are also good anti-carcinogen and anti-inflammatory agents, which help in protecting the liver from inflammatory conditions like hepatitis. It is also very effective for getting rid of gall stones. These roots are good for treating various neurological conditions as they are rich sources of Vitamins E and C. Riboflavin, folic acid, niacin and pyridoxine are other vitamins in these roots, which are good for your health. It is also rich in various minerals like iron, manganese and magnesium. They contain zinc, calcium, selenium and phosphorous in trace amounts. Burdock roots prevent infection that can take place due to injuries and make recovery from injuries fast. Radish Juice for Weight Loss – Does it Work?